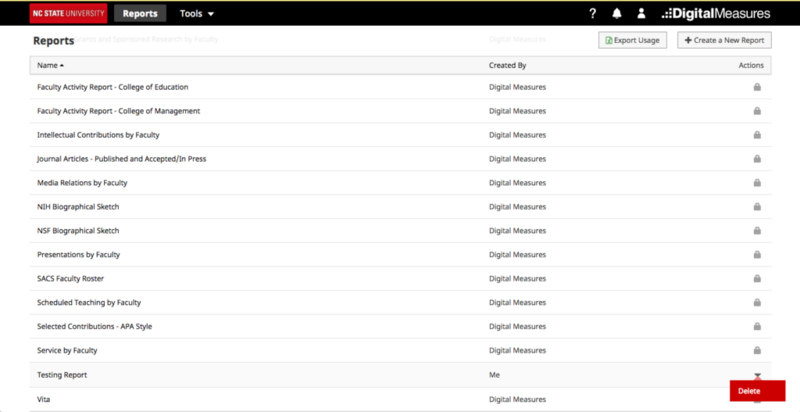 Our Digital Measures product team has been reviewing client colors in the Activity Insight system with an eye towards accessibility standards. After this review it was determined it would be best to change some colors to increase contrast and better meet the ADA and WCAG 2.0 standards. There are two screenshots below that illustrate the current and soon to be implemented future state. You can see here that the “Delete” option is hard to make out in the menu. This also brings the Digital Measures screens more in line with the current NCSU website scheme.